Sharpen your chisels and plane blades with this diamond sharpening system, which delivers professional results with every use. 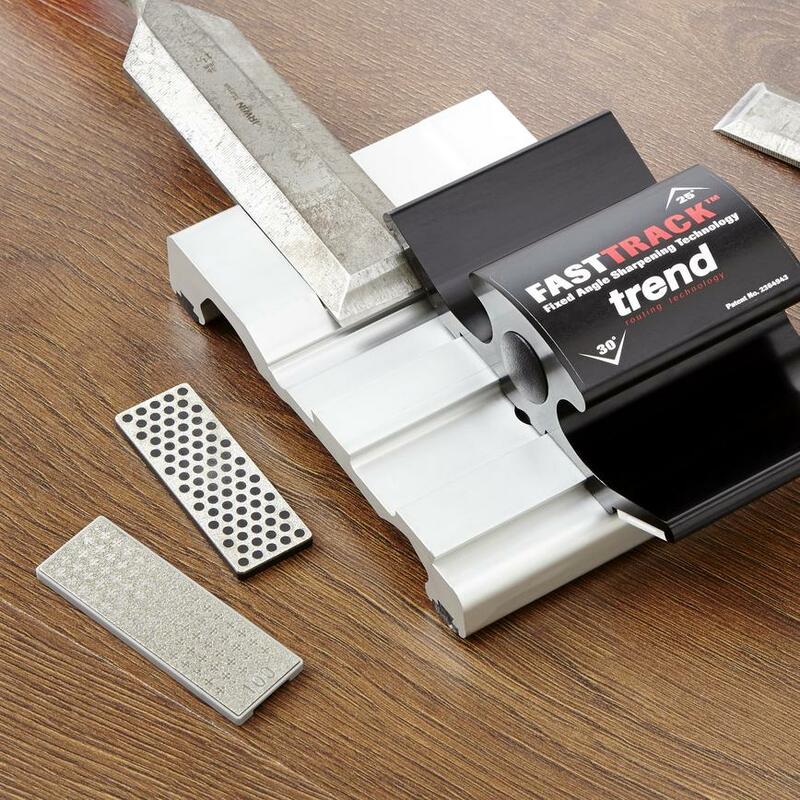 Safe and quick to use, this Trend fast track diamond sharpening stone honing system gives your tools razor-fine edges for precision cutting. Suitable for square edge chisels and angled plane blades, the system is portable and comes with a two-year guarantee. Replacement stones are available separately.